Florida Divorce Law: What is Property Transmutation? | Law Offices of Steve W. Marsee, P.A. 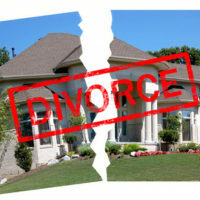 Florida Divorce Law: What is Property Transmutation? In Florida divorce cases, a couple’s marital property is subject to the state’s equitable distribution standard. This means that Florida courts will split up their marital assets in the manner that best upholds the state’s principles of “fairness”. In some cases, this will be a 50-50 split of the marital property, though in other cases, the split may not be exactly even. Of course, not all property is necessarily marital property. You could enter a marriage with your own separate property. If you own separate property at the time of your divorce, that specific asset is not subject to distribution during a divorce. In other words, you get to keep it. However, determining what qualifies as marital property and what qualifies as separate property can be incredibly challenging. In fact, in some cases, separate property can actually become marital property over time. This occurs through a legal process known as ‘transmutation’. Here, our experienced Orlando property distribution attorneys explain how property transmutation can occur. How Does Property Transmutation Happen in Florida? The first way that separate property can become marital property is through an informal voluntary agreement. For example, one partner may decide to gift their spouse their separate property, turning it into a marital asset. While informal agreement can be sufficient under the law, it does leave considerable room for misinterpretation. As such, it may be wise for couples to formalize such an agreement. The second way that property transmutation often occurs is by formalized legal agreement. For example, you and your spouse could enter into a postnuptial agreement with terms that calls for the transmutation of certain separate property. Similarly, one spouse could voluntarily add their partner’s name to the title of their home. The third way that separate property can become marital property is the one that leads to the most disputes: commingling. By commingling your separate property with the property of your partner, that asset could potentially become marital property. In some cases, this happens completely unintentionally. Consider this common scenario: You bought a house prior to your marriage, and you paid off 60 percent of the mortgage before your relationship began. You and your spouse move into the home together after getting married. Then, you open up a joint bank account, which you both deposit money into. After time passes, you start paying the monthly mortgage out of this that account. Is that house still separate property? It might not be. By commingling assets, that property interest could arguably have transmuted into a marital asset. This is a very delicate issue. As such, couples wishing to keep property separate should strongly consider obtaining a customized marital agreement. At the Law Offices of Steve W. Marsee, P.A., our top-rated Florida Orlando lawyer has deep experience handling complex property division claims. To set up a comprehensive, fully private review of your case, please call us now at 407-521-7171. We serve communities throughout Central Florida, including Winter Park, Winter Garden, Maitland, Edgewood and University Park.